Adding contacts to your profile is possible. Yes. You can add/remove contacts to/from your contact list. 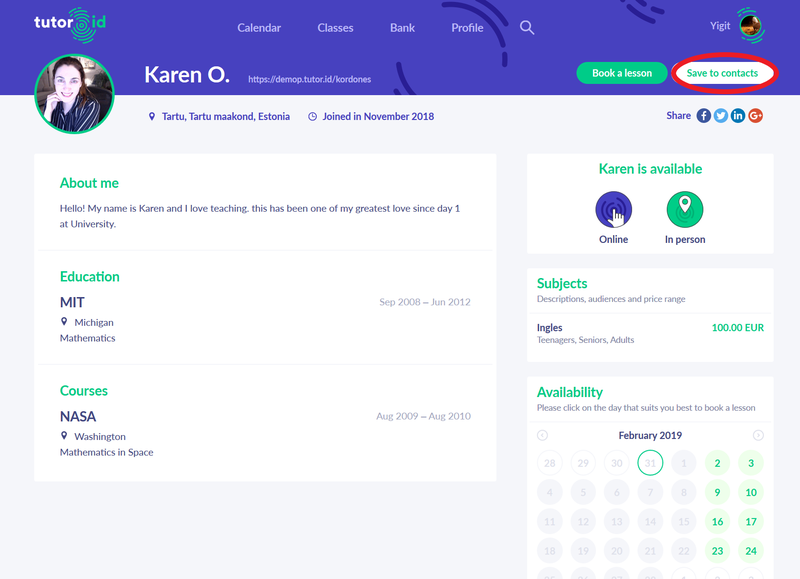 In this way, you can book lessons faster. 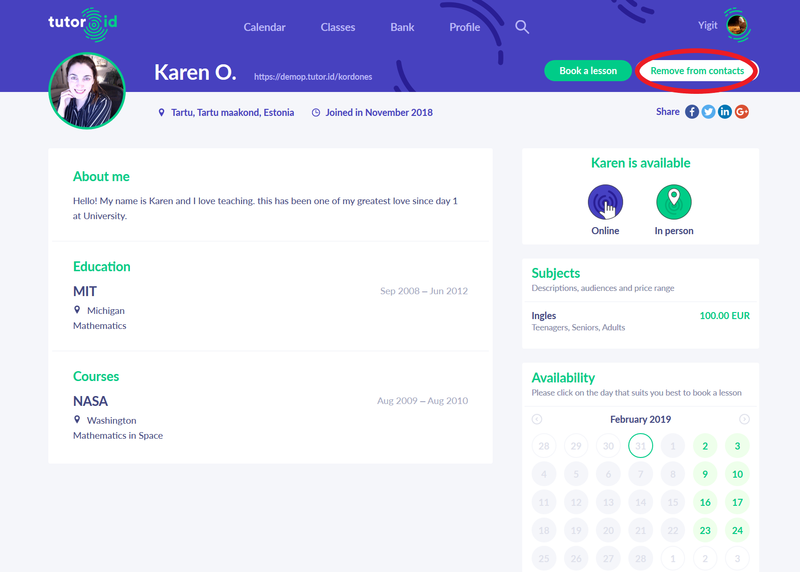 To add a tutor to your contact list, you should click "Save to contacts" which is located on the upper right of the profile. The picture below shows the location of "Save to contacts" button. To remove the tutor from your contact list, you should click "Remove from contacts" which is located on the upper right of the profile. The picture below shows the location of "Remove from contacts" button. Easier than Facebook, right? Yeah, we know!